Word Fire Answers All Levels. 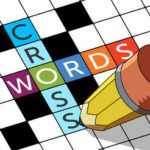 From many admires of word games, “Word Fire” is known as a game that is “easy to play but hard to beat”. This is the reason why many people choose to play the game, it doesn’t take time to learn how to play but it is very fun and challenging when you start exploring all of the many levels it offers. All you need to do is connect the letters by simply swiping in all directions and build valid words. Once you have guessed the correct word it will appear on the screen and complete the empty boxes. As soon as you find all the hidden words and complete all the empty squares you will be able to jump to the next level. At some point the game becomes hard to beat, but do not worry with determination and practice you will be able to master yourself and succeed. However, at any time you can use the helping tools such as “hints” which shows you the hidden words. Or even “shuffle” to change the order of the letters which can give you a fresh idea about the words. Let’s see if you can be the one to beat this game. Good Luck and enjoy!